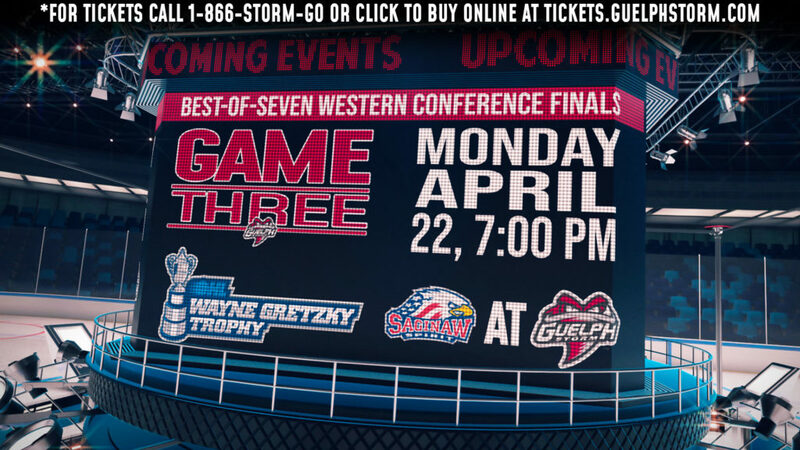 The Guelph Storm will aim to halt their losing skid when the North Bay Battalion visits the Sleeman Centre Friday night. The game also features the Oosterveld Heating and Air Conditioning Winter Wear Drive in support of Hope House. Click here to purchase tickets to Friday’s game versus the North Bay Battalion! For more information on the Oosterveld Heating and Air Conditioning Winter Wear Drive in support of Hope House, click here! It was a tough weekend for Guelph, losing a pair of one-goal games to divisional rivals, Erie and Kitchener. 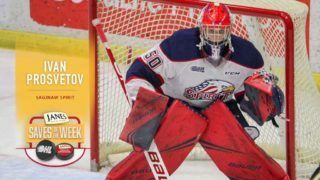 The two losses extended Guelph’s losing streak to six games, but a new week brings another chance to get back into early season form in front of their home fans on Friday night. 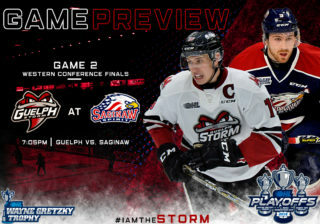 The Storm will host North Bay in their first of two meetings this season. The Battalion are making their only trip to Guelph this season in the first game of a weekend road trip. The Battalion are looking to separate themselves in a tight Central division. The Storm dropped both games to North Bay last season but will look for a different result this year. 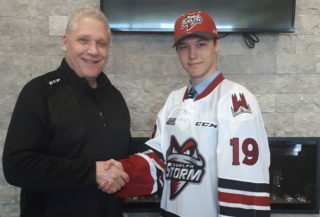 Guelph sophomore forward Issac Ratcliffe is coming off a strong week where he was named the Storm’s player of the week. The London native recorded one goal and two assists in four games against Mississauga, Erie, and Kitchener. Ratcliffe is currently tied for the team lead in scoring with eight points in 10 games. Fresh off of signing a three-year entry-level contract with the Detroit Red Wings, third-year forward Givani Smith looks to build off last year’s success against North Bay, scoring two goals in two games. Smith looks to continue putting up points, having recorded three in his past three games. 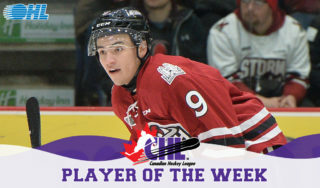 Guelph Forward Albert Michnac has is looking to build off of a strong weekend where he recorded two points in two games. The rookie center out of the Czech Republic has been playing very well as of late, his growing confidence with the puck on his stick has made him a threat to opposing defencemen. Fourth-year forward Brett McKenzie has been the Battalion’s offensive leader this season, recording 12 points through his first eight games this season. 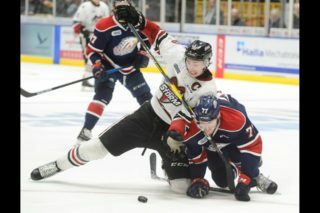 One of two remaining North Bay players from the 2013-14 team that lost to Guelph in the OHL final, McKenzie is not afraid to shoot the puck, averaging over four shots a game this season. The leader of the Battalion defence, Cam Dineen was a thorn in the Storm’s side last season scoring two goals and adding an assist to go along with a +3 rating in two games. The Arizona Coyotes 2016 third round pick will look to continue his strong play against the storm on Friday night. Third-year right winger Zach Poirier is looking to continue his strong play this season when the Storm and Battalion meet on Friday night. More of a scorer last season, Poirier’s playmaking has been his strong suit early on this season, on pace to more than triple his assist total from last year. Through eight games to start this season Poirier had one goal and five assists.